intelligent questions and stop deceiving salesmen from over-charging you. This guide explains the information you need to know, in a step by step manner. 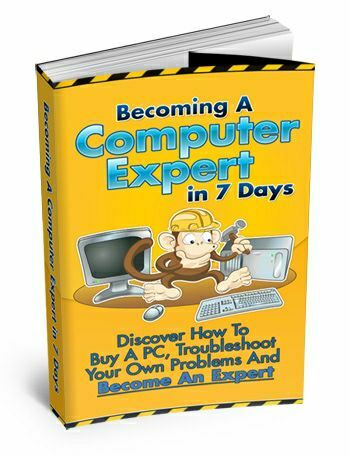 become your own computer expert in 7 days or less. troubleshoot basic problems when they occur. you can tell the technicians fixing your PC, that you’re not a complete newbie. You can challenge their decisions and also give your own suggestions. salesman from charging you ridiculous prices.